Bodmin Moor is a strange place. Sometimes strange can be good. In places the moor is only five miles across, so much smaller than Dartmoor. But Bodmin Moor has a very ancient feel, a place to get lost in time. There are signs of ancient human habitation on Bodmin Moor. There are stone huts and field boundaries built for the living, and burial cairns and barrows for the dead. Stone circles and standing stones have been erected for purposes that we can only wonder at today. Beautiful man-made objects have been discovered, hinting at a flourishing ancient culture in what can now seem a bleak environment. The rich geology of Cornwall has also yielded natural treasures from the ground. Industry flourished where copper, tin, stone and clay were available. Sometimes these were easy to find, but sometimes immense financial investment and human endeavour were required. The ruins of engine houses used in mining have become a classic symbol of the area. 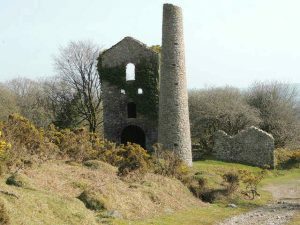 The Poldark stories took inspiration from the mining heritage and some filming has taken place on Bodmin Moor. Juxtaposed with the ruins of Cornwall’s industrial age are Bronze Age monuments and the natural geological wonders of the Cornubian batholith (granite rock tors). Several of these granite rock formations appear to have been venerated in prehistoric times. Some stone circles were built nearby the rock formations. I like to inside the stone circles and try to feel their power, while we consider the theories and stories put forward to explain them. Or maybe you’ll have your own ideas? What’s on the Bodmin Moor Tour? 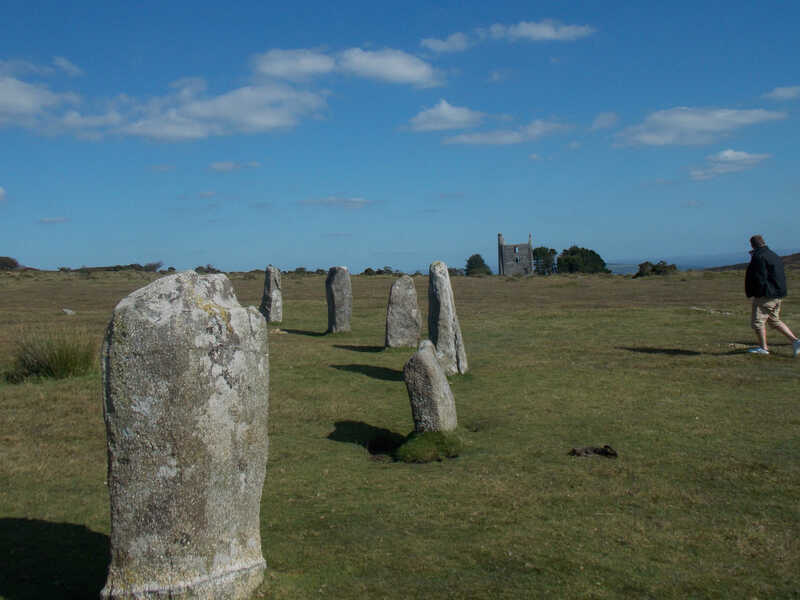 This day out can include ten or more locations on on Bodmin Moor. The tour has developed over the last few years to offer a variety of options. I can tailor what we see according to your interests and abilities and perhaps the weather. We need not do much walking. Some of the most spectacular sites are very accessible. We will definitely see a stone circle. These places must have been an ancient focus spot for spiritual and ceremonial activity. At least one moorland church is also a must. These buildings have been the spiritual repositories for local art and history for the last thousand years. They are often in locations where there is a natural spring, suggesting an even longer spiritual and social history. We can visit the site of a Victorian murder and hear the tale of poor Charlotte Dymond. Her ghost is said to have been seen on the moor and at nearby Davidstow church. The moor and its people have inspired literature for generations, and a poetic reading might be on the cards. Bodmin Moor holds many mysteries and we can also visit a site that still remains open to interpretation and is yet to be excavated. At the end of the tour we can sample some locally made produce. Camel Valley Vineyard has won many international awards for its wines, benefiting from the special local character of the area and its climate. Tintagel Brewery is now open, in case you prefer beer to wine. Or you might just fancy a cream tea instead. Please note that Bodmin Moor is privately owned open land, with many protective designations. Public access to this open land is allowed under the Countryside and Rights of Way Act 2000. However, commercial access is restricted. Therefore, in a few places it may be necessary for me to direct you to a nearby point of interest and not accompany you to it. But don’t worry I will not abandon you on the moor, I’ll stay by the car and might make you a cup of tea for when you get back. What about the Animals on Bodmin Moor? 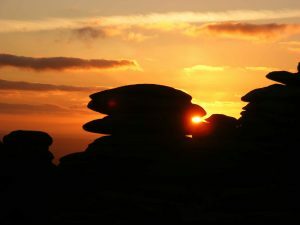 Bodmin Moor is not managed as a National Park. All the domestic animals on Bodmin Moor; ponies, sheep, cattle, are owned by farmers or other individuals. Common grazing rights on Bodmin Moor are linked to local property ownership, while the common land itself remains privately owned. Animals which belong to various people will be grazing on land belonging to other people. This present day system has links to feudal societal organisation. Buying a house or a farm in the area around and on Bodmin Moor can bestow grazing rights on a property owner. The number of animals permitted varies. But it does give individuals the right to graze their animals on the common land. An economic model for this is known as ‘The Tragedy of the Commons’. Agricultural subsidy payments are attached to the grazing rights. So farmers are paid subsidy money proportionate to their rights, and in theory the animals graze the land and maintain it at a sustainable level. I have been horrified by the standards of animal care on several areas of Bodmin Moor and also with the people responsible. This blog by people4ponies explains more and is a trusted source of information. If you want to help to change things please keep and eye on their campaigns and action by contacting Cornish members of parliament and other stakeholders. I am sad to say that the problems are not over yet. If you can meet me in Tintagel, or you are staying close by, the tour only cost is a minimum of £220 for the whole day, or £55 per person for up to six people. Please contact me if you would like a quote to be collected from your accommodation. If you would like an all-inclusive tour, please add on £20 to £35 per person. The all-inclusive price covers a light lunch, entry fees, wine or beer tasting, or a cream tea. Please visit the shop area of the website for more information.